Abilities United Productions is an independent motion picture and television production company created specifically for providing an authentic voice, vision, and representation of those with a disAbility by featuring a main character with a physical disAbility and utilizing, writers, directors and actors with the same or similar disAbility in those roles. This unique service, a benefit from the specific 3-Element products that are “Breaking the Hollywood Stereotypes of Characters & People with a disAbility” while helping to end the accepted industry wide discrimination of those with a disAbility on both sides of the camera, while keeping as the foundation the purpose of entertaining movie audiences based on sound and proven elements that are incorporated by all striving for commercially and critically successful motion pictures and television programs. A life long movie lover, Larry N. Sapp II discovered his destiny of writing and directing films only after leaving the entertainment capital of the world! He was one of the first to attend the Art Institute of Dallas' brand new curriculum, "The Music and Video Business" creating producers with both academia and hands-on approach to each role of the music and video business. Although Larry originally attended to pursue a career as a music producer it was on a class assignment that he discovered his love of storytelling in a music video which evolved quickly into a more expanding expression in filmmaking. After spending the next few years in freelance positions that varied from camera operator, grip, production assistant, and sales accountant brining in business to other video production companies, Larry realized his dreams of filmmaking, as a writer and director were not being fulfilled. Larry began his first short film when a near fatal accident caused him to be paralyzed from the waist down. This new life as a paraplegic did not fade his dreams of storytelling on film and in fact enhanced, refined, and dedicated him even more at this second chance at life to live the dream! 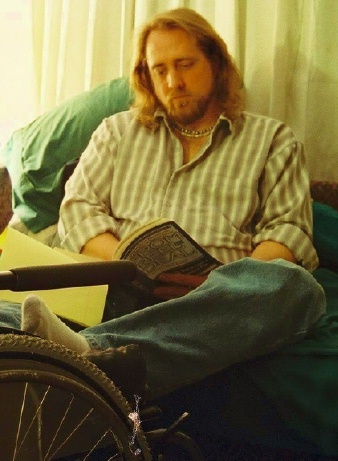 Immediately Larry went searching for representation of those like himself who are living their everyday lives from a wheelchair in the movies and television. Extremely disappointed at the lack of representation and the fact that nearly all of them were written, directed, and performed by well intention able bodied artists that also nearly always produced stereotypical characters and stories, Larry knew what he had to do. It was very clear to Larry that he had to break this terrible cycle and bring authenticity and non-stereotypical films to Hollywood. 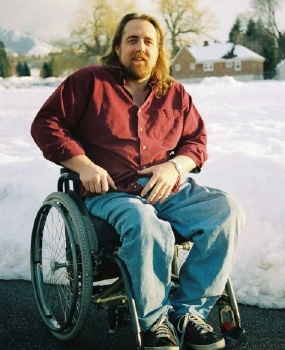 During this time he had already brought together his previous business experience and his never ending passion for video and film production and formed a not-for-profit 501(c)3 corporation, “Wheelchair Independence.” As executive director and president he created training videos for both the newly injured and point-of-view videos for therapists to use in dealing with patients with severe disAbilities. Larry also developed a travel television series and a newsmagazine that catered to the lifestyle of those within the disAbled community. 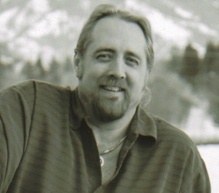 Larry has spent nearly all of his time, energy, and resources in both the business and the creative material to bring a new era in Hollywood that openly accepts those with a disAbility on both sides of the camera – and provide for what history will record as a “turning point” in American cinema for breaking the stereotypes and providing the authentic representation of those with a disAbility. Larry grew up in the Los Angeles area, and has lived in Phoenix, AZ, Dallas, TX, Logan, UT, finally back home in Southern California from 2008-2011, and for personal reasons has moved back to Utah. For the last 19 years I have basically been doing this alone including the creation and forming of Abilities United Productions originally in January 2005. I am currently recruiting key personnel - individuals and companies - to join with me through Abilities United Productions and to the production of my short and feature length films, to be part of the historic "turning point" in American cinema for those with a disAbility on both sides of the camera! As they accept my offers or volunteer to join with me - I will add them here.